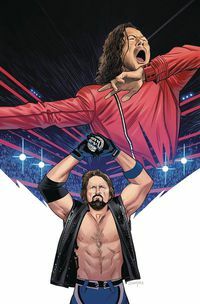 AJ Styles-The Phenomenal One-is a WWE Superstar who traveled the world to make his name, and then confirmed to the WWE Universe just how amazing he was in record time. Follow his round-the-world journey into the spotlight here! Legal Notice: Entire contents trademarked (® or TM) and copyrighted (©) 1986-2019 by Things From Another World, Inc. and respective copyright and trademark holders. All rights reserved. Page rendered at 2019-04-25 19:08:09 in 0.320 seconds.